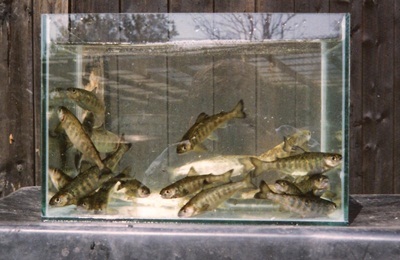 The Supreme Salmon Co is a unique business which has specialised in the rearing of salmon, trout and carp in Recirculating Aquaculture Systems. 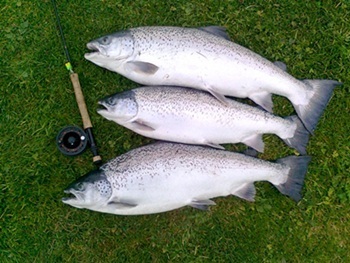 Located in Lincolnshire, the owner has 45 years experience of rearing fish including 25 years of salmon cultivation in RAS systems and is now available for advice, consultancy and project management. While most fish farming projects sadly end in failure, The Supreme Salmon Co (SSC) has a successful track record, owing to a less capital intensive project structure and decades of experience and experimentation. This usually involves the customer providing the basic infrastructure and construction resources while SSC provides the design and component parts at a fraction of the cost of a commercially available rearing system. Any project requires the interested parties to work together to minimise the capital expenditure in the short term so it can be an economic success in the long term. RAS reuses the same water continuously and these can be constructed according to the clients needs. Our RAS systems require only a sensible budget and this is reflected in the fact that all installations constructed for customers are still in use. A modular design ensures less vulnerability and the growing of fish in a controlled environment allows them to thrive under their most preferred conditions leading to immense benefits. 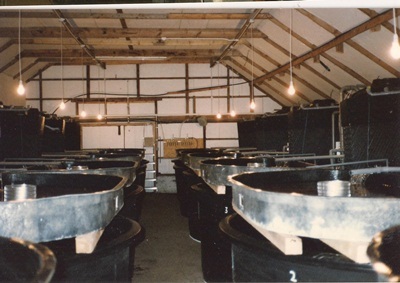 We have built hatcheries for rearing young salmon in the UK, France and Switzerland.